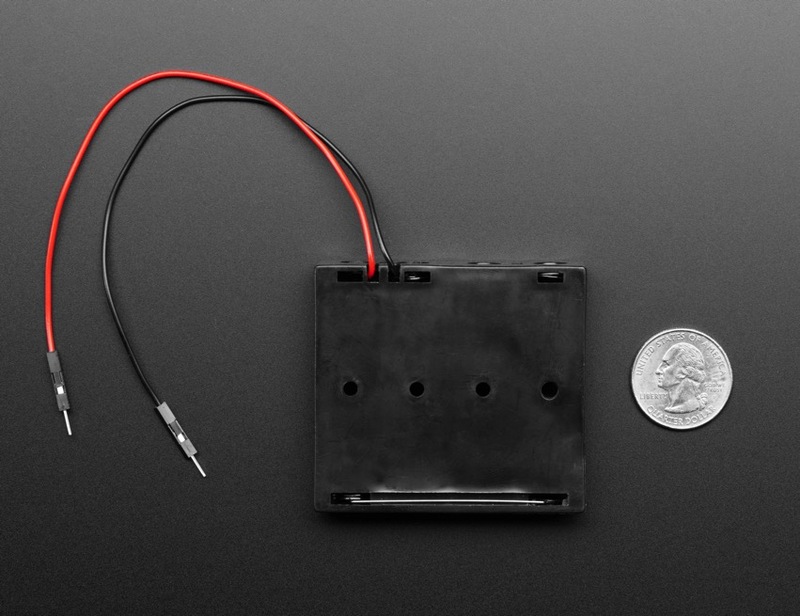 We’ve got battery holders for all sorts of needs and projects! Waterproof? Here ya go. With an on/off switch? Easy peasy. 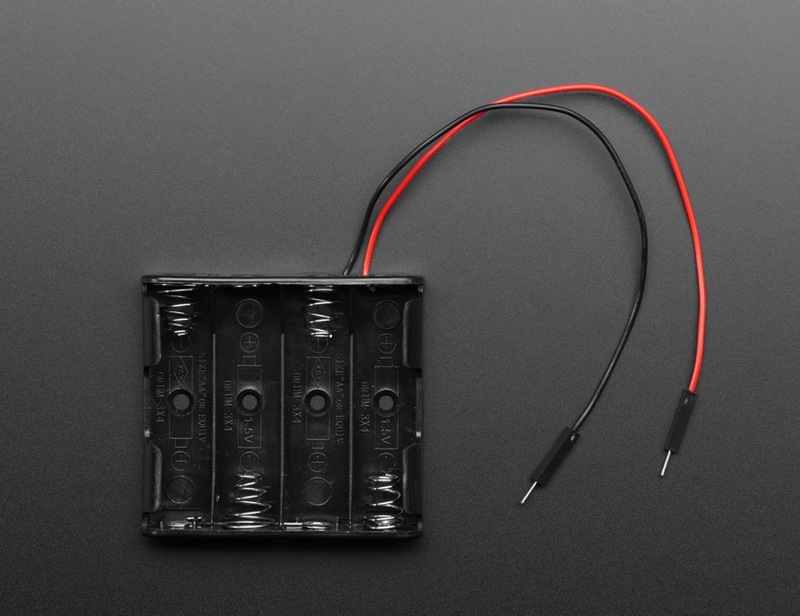 Here’s our latest addition in classy Adafruit black: 4 x AA Battery Holder with Premium Header Wires. What’s so special about ’em? Well you can plug them right into a breadboard! No need to fight with those skinny stripped wires you normally get. Of course, you can always still solder them into a PCB. 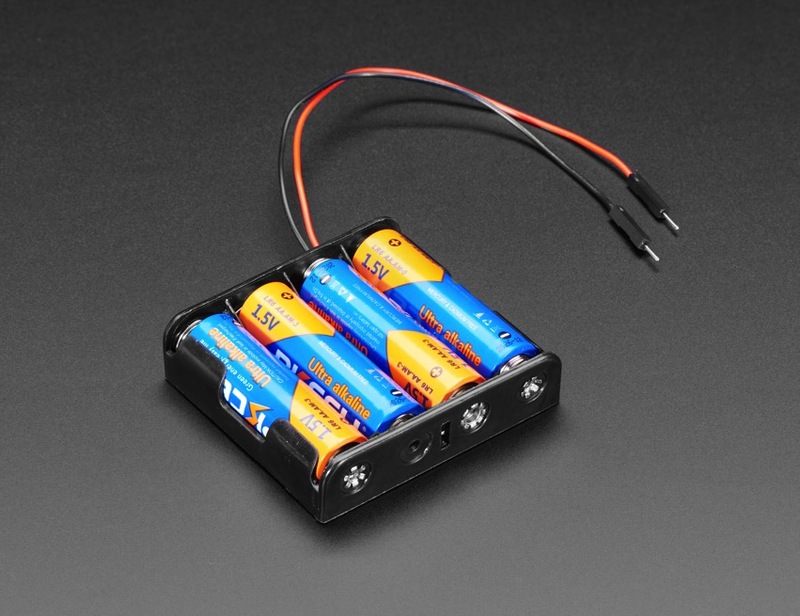 4 x AA battery packs can run with ~4.8V (4 x NiMH) to ~6V (4 x Alkaline). Great for powering boards with a ~4.5-6.5V DC input allowance as you’ll see that range depending on how fresh the batteries are.